Picture yourself in a restaurant, trying to decide between two chicken entrees. Equally tempting, equally tasty, equally priced. How to decide? And if you knew that Chicken A had three times as many calories as Chicken B, would you decide differently? Not even professional nutritionists can accurately estimate calorie counts in restaurant food — unless the menu tells them. Soon, menus will tell them. 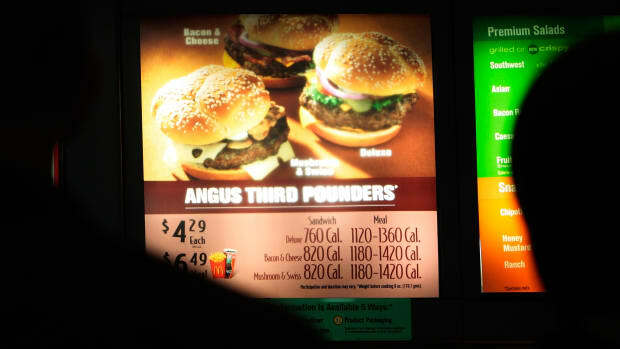 Under the new health reform law, all chain restaurants with more than 20 outlets will have to post calorie counts on menus. To help diners make sense of those numbers, restaurants (if they aren&apos;t doing so already) will have to provide information on recommended daily caloric intake and make easily available more detailed nutritional information about salt, carbs, fat and other components of their food choices. Vending machines will have calorie counts, too. (While the Food and Drug Administration must write regulations by March 2011, the timetable for full implementation is not yet certain). Public health experts hope that the information, over time, will influence how diners make choices. Their hope isn&apos;t blind; it&apos;s data-driven. Early data from New York and King County in Seattle, the first two communities that have put menu labeling laws into effect, show that giving diners more dish on their diet has a modest but detectable impact — more than some earlier voluntary initiatives where customers had to seek out the information on brochures or computer kiosks. With accurate and readily accessible information right on the menu or the menu board, more restaurant customers do opt for that 400-calorie Chicken A, not the 1,200-calorie Chicken B. And public health experts predict the behavior shift will be more discernable over time. Dr. Thomas Frieden led the way on menu labeling as New York City&apos;s health commissioner before taking up his current post as head of the U.S. Centers for Disease Control. To evaluate the impact of the menu rules, he said, researchers in New York gathered and analyzed a sampling of receipts, seasonally adjusted, from chain restaurants. "We were able to compare from one year to the next," Frieden explained. "There was a significant reduction in the number of calories per meal purchased." On the other hand, the CDC chief cautioned, good consumer nutrition empowerment "can be easily overwhelmed by economic incentives." A real bargain — like five bucks for a foot-long monster sandwich — could entice someone to buy higher-calorie food or order a larger portion. Daily specials or temporary menu items won&apos;t require labels under the new law. King County, which includes Seattle, has been surveying its residents since its menu rules went into effect. "People are making better choices," said Dr. James Krieger, chief of chronic disease and injury prevention for the county public health department. Not everyone perusing a menu takes into account the new information, but the preliminary signs of "small changes but in the right direction" suggests a tentative beginning of a consumption shift. 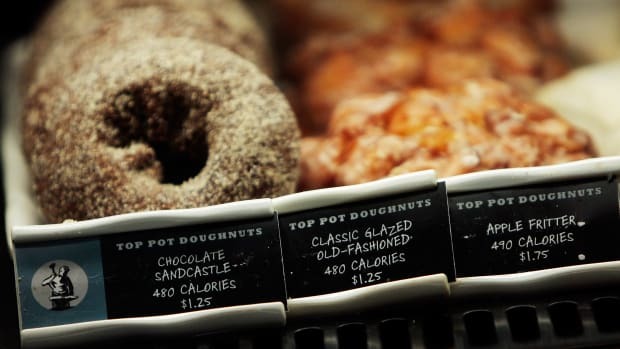 "We&apos;re seeing large increases in the number of people who are aware once [calorie counts] are posted on menu boards," Krieger said. "Of those who are aware, 30 percent or so use it to change their choices. So more people, absolutely, are increasing their use of this nutritional information to make choices." Better choices are both a health and an economic imperative. Americans have been getting heavier for several decades; the United States is now the fattest country on Earth, according to the Organisation for Economic Co-operation and Development. Two-thirds of adults and one third of children are overweight or obese. Obesity-related disease and conditions accounted for about $147 billion of U.S. medical expenses in 2008. The Partnership for Prevention has predicted that those costs will more than double, to around $344 billion within a decade if present trends continue. Obesity-linked conditions contribute to rising Medicare spending, too. 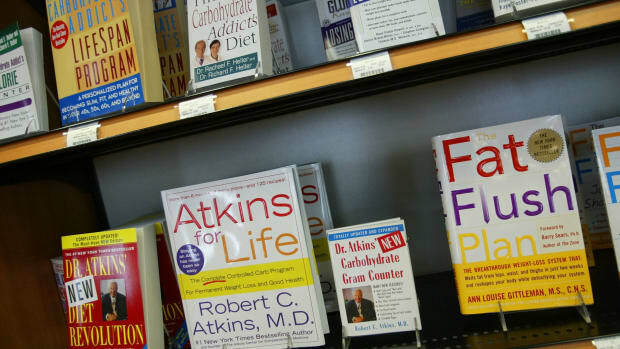 Thin 65-year-olds cost Medicare 15 to 40 percent less during the rest of their lives than their plumper peers, according to an Academy Health report. No one expects menu labels alone to undo decades of changing social norms that have led Americans to serve food — often unhealthy processed food loaded with fat, sugar, salt and chemical additives — everywhere all the time. A generation ago, kids didn&apos;t get chips and sodas at all their activities (including sports). Muffins and donuts were not de rigueur at business meetings. No one had ever seen a deep-fried Oreo, never mind learn how to make them at home. Now nearly half the food money spent in the U.S. goes to restaurants and takeout, and there is ample data that food outlets and chain restaurants are a big factor in the fattening of America, according to public health experts, nutritionists and people who study chronic disease. "More than 30 studies have shown a link between eating out and obesity," said Margo Wootan, director of nutrition policy at the Center for Science in the Public Interest. We call it "eating on the run," but actually it&apos;s eating in the car, at the desk, on the couch, in front of the TV. "In and of itself, menu labeling is not going to reverse the obesity epidemic," said former FDA Commissioner Dr. David Kessler, whose 2009 book The End of Overeating scrutinized the fast-food industry&apos;s impact on our bellies and our brains. "But it&apos;s one of the most important steps the government can take." Restaurant meals are large — and mysterious. Customers don&apos;t really know what&apos;s in their foods, said nutritionist Mary Story, a professor at the University of Minnesota and director of the Robert Wood Johnson Foundation Healthy Eating Research program. The tarragon chicken salad may sound healthier than ham and cheese on rye, but without nutritional information about mayonnaise and marinades, fat and fiber, customers can&apos;t know for sure. "I personally try not to eat out. It&apos;s so easy to gain weight, and we have no idea how many calories are in the food we are eating," she said. "I&apos;m a registered dietician. I&apos;ve been working in nutrition for 25 years. If anyone should be able to [gauge calorie counts] I should. But I can&apos;t. You have no idea what&apos;s in the food." Story says definitive research on the impact of menu labeling — more extensive and authoritative than New York and Seattle&apos;s earlier city-based surveys — will take time. The effect won&apos;t be immediate. Changing health-related behavior, whether it&apos;s seat belts, smoking or deep-frying Oreos, takes years. But the experts say that the menu labels don&apos;t just affect the eating habits of individuals and families. It&apos;s changing the restaurant industry itself. The chains initially fought labeling laws, but dropped their opposition to a version negotiated during the health reform debate. They shifted in part because they decided they would rather have one national law to deal with than scores of state and local statutes, said National Restaurant Association spokesman Mike Donohue. The other reason for the strategic shift? They realized customers are hungry, so to speak, for better nutritional information. More restaurants have begun to revamp their menus, offering healthier options. 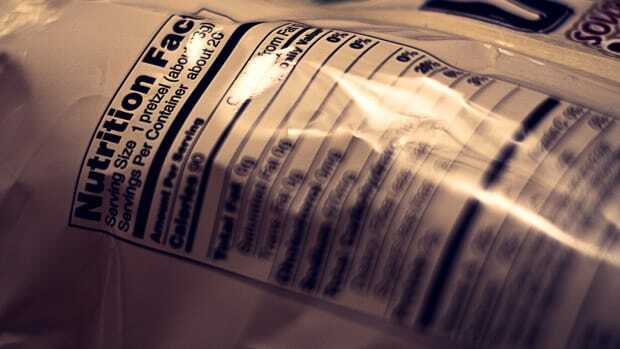 Many now voluntarily offer nutrition information, though not always on the menu itself. For instance, Starbucks (which voluntarily provides nutritional information online and through in-store brochures) may still offer a 500-calorie raspberry scone with 26 grams of fat. But Starbucks also offers 200-300 calorie healthy snacks — some with complete nutritional labeling on the back of the package. Chefs have gotten with the zeitgeist, too. When the restaurant association surveyed chefs about trends for 2010, it got answers like "bite-sized or mini-desserts," "smaller portions for a smaller price" and "healthy kids meals." People can even get the fast fat low-down on iPhone apps. Frieden, who like other public health officials is also eyeing Americans&apos; consumption of heart-disease provoking salt, is a strong proponent of giving consumers more information through menu labeling while understanding that it must be part of a much broader healthy eating/healthy exercise strategy and cultural shift. "There&apos;s no magic bullet," he said. But there may be a growing appetite for the 400-calorie chicken.